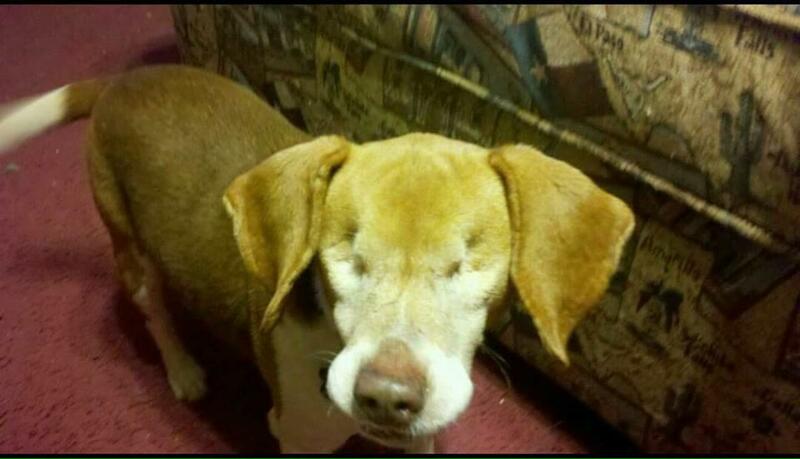 KINGS MOUNTAIN, N.C. - Police say someone cut off the head of a blind and deaf dog in the backyard of a Kings Mountain, N.C. home before stealing an ax, shovel and propane tank from a shed. Investigators told media outlets that a family friend looking for the beagle named "Libby" found the body without a head Thursday afternoon. Police say it looks like a burglar jumped into the fenced-in yard and stole the items and killed Libby. The dog's head has not been found. The dog's family says they owned her for six years and she was a rescue dog. Dennis Morrow told CBS affiliate WBTV he can't come to terms with what happened to his pet. "You don't think something like that would happen in a small town," he said. "They're sick individuals out here in the world now. We need to pray for them." Shirley Morrow told the station she couldn't bring herself to explain to her children exactly what had happened. "We kinda had to not tell them exactly," she said. "That she passed away but not how." No suspects have been identified. WBTV reports an animal shelter is offering a $5,000 reward for information leading to an arrest.